Are you a Cricket Fan & Love Watching Live Cricket Match? If Yes, then you might also love Playing Cricket Games. So, here I’ve shared the list of Top 11 Best Offline Cricket Games For Android. There are many Cricket Games Online on the Internet that you can play and enjoy cricket. But, when it comes to Offline Cricket Games, there are only few best out there. So, why not to enjoy those games when you have no internet connection? It happens many times when you are out of data and have no offline games. These Offline Games of Cricket are quite popular and you can play them anytime you want. You just need your Smartphone and you can start playing offline Cricket game. 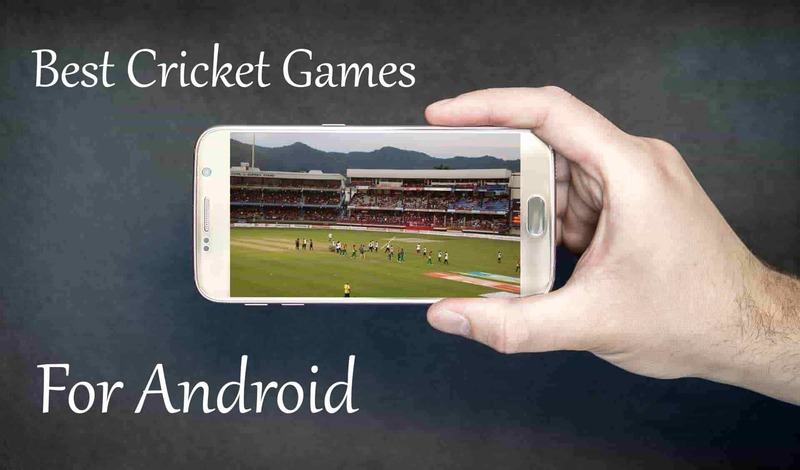 So, without wasting more time, let’s proceed further and check out the list of Top 11 Best Offline Cricket Games For Android 2019. World Cricket Championship 2 (WCC2) is one of the most popular and Best Cricket Game for Android. The game is quite popular with millions of downloads and rating of 4.6 on Play Store. In the game, you can play many different tournaments including 3 major tournaments; Quick Play, Test Cricket & Tournament Match. The game is popular due to its unique features that includes different camera views, creating your own player, 125+ animations, 3D bar chart, 40+ In-Game camera angles, and many other cool features. As the name suggests, the game is based on real cricket where you can get feel like real cricket due to the feature like Strategic Timeout in IPL, Decision Pending Board, etc. As this a 3D Cricket Game, it makes it a large game and goes around 300MB in size. You can also see the auction in this latest version of the game. Another Best Cricket Game in the list is Cricket WorldCup Fever. In this game, you can not only play offline but also play online multiplayer game. The game comes with realistic 3D graphics which makes it more interesting to play. If you are bored with one game, you can play change game difficulty and stadiums to make the game more realistic. The game has 14 teams, 6 stadiums and 3 difficulty levels that can be adjusted according to your choice. Apart from this, you’ll get many other features in the game like Ball-By-Ball Analysis, TV Broadcast Style Cameras, Full User Control, Replay Mode, etc. This Game is specially designed for the die-hard Cricket lovers as this game comes with many different tournaments and multiple features in the game. World Cricket Championship Lt game is designed in such a way that players will fall in love with this game. The game comes with realistic commentary, toss, batting, fielding, player selection, etc. and almost everything in the game looks perfectly well defined. Moreover, you’ll get tons of features in the games including different game modes, 3D graphics, match statistics, etc. All these features can be used offline and features like sharing, buying coins, login, etc. needs an active internet connection. Stick Cricket Premier League is another most popular and Best Cricketing Apps in the list with millions of downloads and 4.5 ratings on Google Play Store. This is a cartoonish type cricket game where you’ll see cartoonish players. In the game, you can build your dream team, select payers, select captain and then start the game. The game is simple but quite interesting. The best thing about this game is, it is a Low MB Game and comes under 25MB in size. Overall, this is one of the Smallest Cricket Game in the list. As the name says, this is Cricket Game with Beach Theme. The game is played near the beach like a gully cricket which makes it more interesting. The game is specially designed for the Cricket lovers who love to play gully cricket. If you are the one who loves playing Gully Cricket, then this game is specially for you. This is another small Cricket game in the list with the game size of around 25 MB. Though this is a tiny game, it has many different leagues and tournaments to play. You can play many different tournaments in this game such as ODI, World Cups, T20 Matches, Test Matches, etc. The game is very simple and easy to play and comes with simple pick up and play controls for batting & bowling. Moreover, batting and bowling directions can also be adjusted. This is a small and simple Cricket game that can be played in the free time when you have no Internet Connection. Epic Cricket is another Best Cricket Simulation Game in the list. 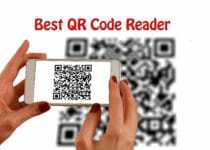 This is a game where you can Earn Paytm Cash by Playing Game if you are top on the leaderboard. Whether you love ODI, T20 or Test Match, you can enjoy all the tournaments in this game. The Decision Review System (DRS) of this game is very similar to the real game where you can take the review and check the decision via Hotspot & Ultra Edge. Furthermore, the game come with 3D Graphics, HD Quality Visuals, Match Live Commentary, etc. and you can also play multiple shots like Reverse Sweep, Googly and the popular Dhoni’s Helicopter Shot as well. If you are one of those who loves batting, then you can try this Offline Cricket Game. The game is free to play in offline as well as online mode. The game will never bore you as it comes with 6 unique game modes including Challenge Mode, Limit Overs, Friendly Mode, World Cup, Chase Down & Online War. Apart from all these, you can build your own team and play the match to improve your levels in the game. Levels & highest points will be marked in the upcoming leaderboard feature of this game. Overall, this is one of the Best Free Cricket Game in the list. If you are looking for a simple Cricket game to play in your free time, then Stick Cricket Super League can be perfect for you. This game is very similar to the above mentioned Stick Cricket Game. Though this is a tiny Cricket game under 50 MB, still, you’ll get tons of feature in the games where you can Create your own Player, choose from 70 different teams, smash sixes, etc. The game is perfect for playing in free time or if you have a low-end device. Playing this game is very simple, just select right or left direction and you’ll score the run, the only this which matters is, timing. Last but not the least, Gamezop is another popular app where you can play Cricket game. Not only Cricket but here you can play many other mini-games. The best thing about the app is, you can Earn Money by Playing Games. The games are simple and easy to play, just tap on the screen when the ball is in the circle and you’ll score the run. The only thing about this app is, you need an active internet connection to play this game as this is an online multiplayer game. 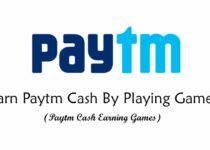 Just play the game, top the leaderboard & Earn Free Paytm Cash. This was the Article On 11 Best Offline Cricket Games For Android. Apart from this, there are many other Cricket Games Without Internet but here I’ve shared the most popular and best out of them. You can easily play any of these games for free without having an active internet connection. Hope you liked this Article On Best Offline Cricket Games. Do Comment below if you know any other Best Cricket Games Offline. Stay tuned with us for more Tricks & Updates.